With the recent inception of Red Bar Melbourne, organised by prolific collector, and all-round watch enthusiast, Ernie Tang, Melbourne’s watch nerds have found even more reason to get together and talk watches than ever before. Between organising casual get-togethers, and more brand-centric events, Ernie certainly has his hands full. 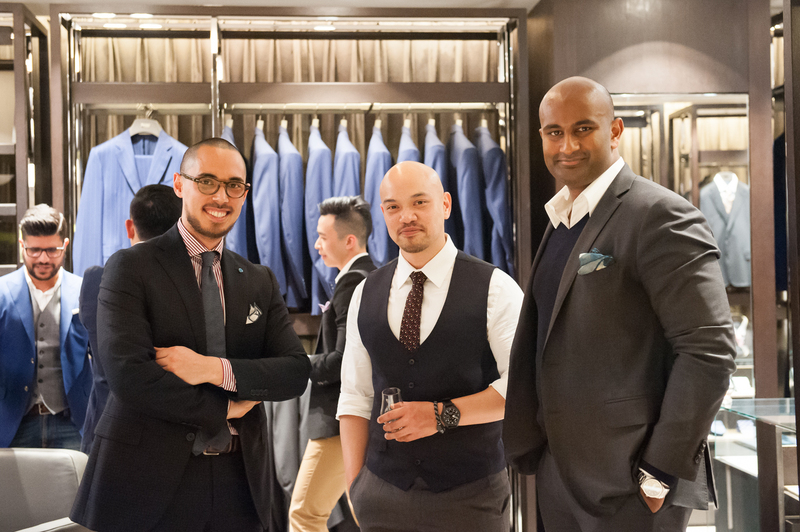 One of the bigger recent meets was held in conjunction with Melbourne stalwart of the menswear industry, Henry Buck’s. 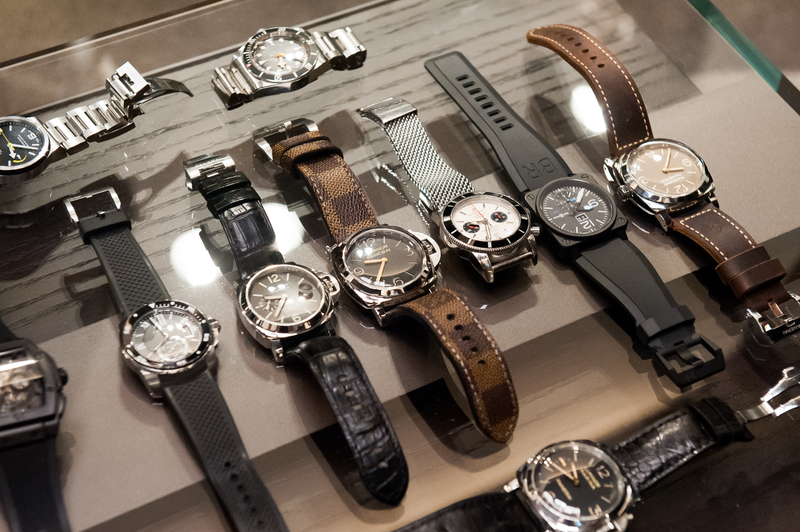 Menswear and watch collecting have, for many years, gone hand-in-hand, so the collaboration was a no-brainer, and proved to be a very popular one. 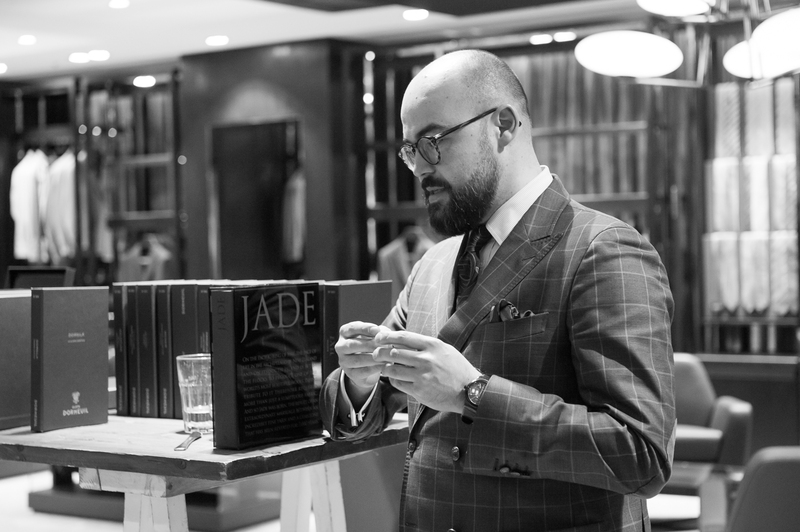 Guests were treated to a round-robin style educational event, where experts in the field spoke about whisky, shoe-polishing, handmade custom gloves, and custom suiting. The whisky masterclass was kindly put on by the fine folks at Whisky and Alement; an immensely popular whisky bar in Melbourne where the walls are (literally) lined with hundreds of types of whisky. 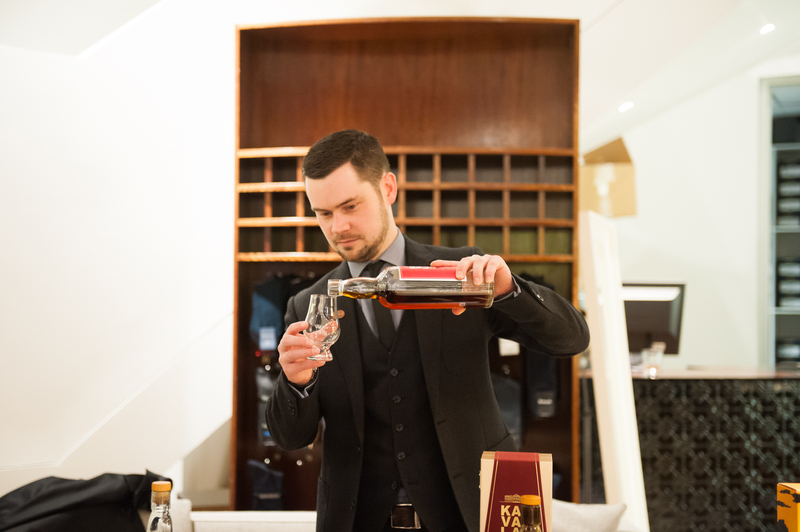 The masterclass was taken by Julian White from W+A, whose whisky knowledge is just enormous. Guests were shown how to taste whisky and appreciate the subtle flavours in different types, whether they were traditional Scotch Single Malts, or a more modern, blended whisky from unexpected corners of the world, like Taiwan. It proved to be a very popular and education experience for all involved. 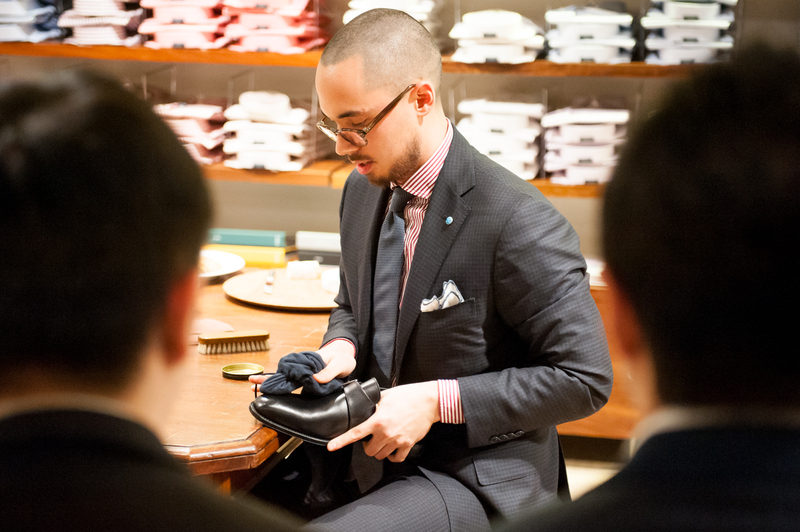 Royce from Henry Buck’s gave us our shoe-polishing demonstration, starting with a pair of unpolished black Loake cap-toe oxfords, and working the toe up to a mirror shine as if by magic. He demonstrated the correct use of polish, wax and water in various stages to leave the shoes so shiny, you could see them from a mile away. Melbourne menswear legend Aaron Cheung showed the crowd what goes into the manufacturing of custom leather gloves. Using various leathers such as deer and carpincho, the gloves are individually handmade to the exact measurements of the client. This is what Henry Buck’s is famous for. Their suiting department has been clothing the menswear-savvy gentlemen of Melbourne for several decades. With a newly-installed Canali store-in-store, there’s even more reason to get a made-to-measure suit from the menswear institution. One of the prominent made-to-measure fabric choices comes from the French-sounding (but actually British) maker, Dormeuil. 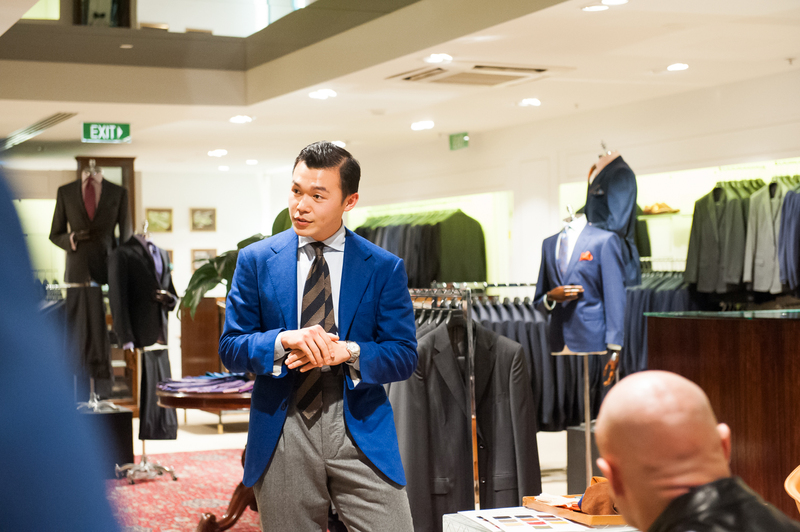 Guests at the Red Bar evening were taken through the process of selecting a Dormeuil fabric and getting measured up for their own suit, a process that Henry Buck’s has perfected over their many, many years in the business. Overall, the evening was a rousing success with everyone learning a few bits and pieces about the menswear industry, but most importantly being able to catch up in a wonderful environment and talk watches. As you can see, there were some pretty heavy hitters present, watch-wise; something that Red Bar is very well known for. We look forward to many more of these events in the future, and if this was anything to go by, they will only be better and better. Many thanks to Ernie Tang of Red Bar Melbourne and all the staff at Henry Buck’s Melbourne for a wonderful evening. Check out the gallery below for all the photos from the sensational event, and they incredible amount of watch eye-candy on the night.